Girls Empowerment Camp (GEC) is a free 2-day camp open to teens ages 14-18* that introduces them the fire service and provides campers with a realistic, hands-on overview of firefighting and exposure to all aspects of public safety career opportunities in the fire service. Additionally, the program empowers campers with life skills and professional guidance that encourages them to pursue a career in public safety. Good luck to the Recruits of the 87th SD Fire Academy. Mark has the honor of cutting the cake with a life-size ax and also receives $250 from the Credit Union for a job well done. 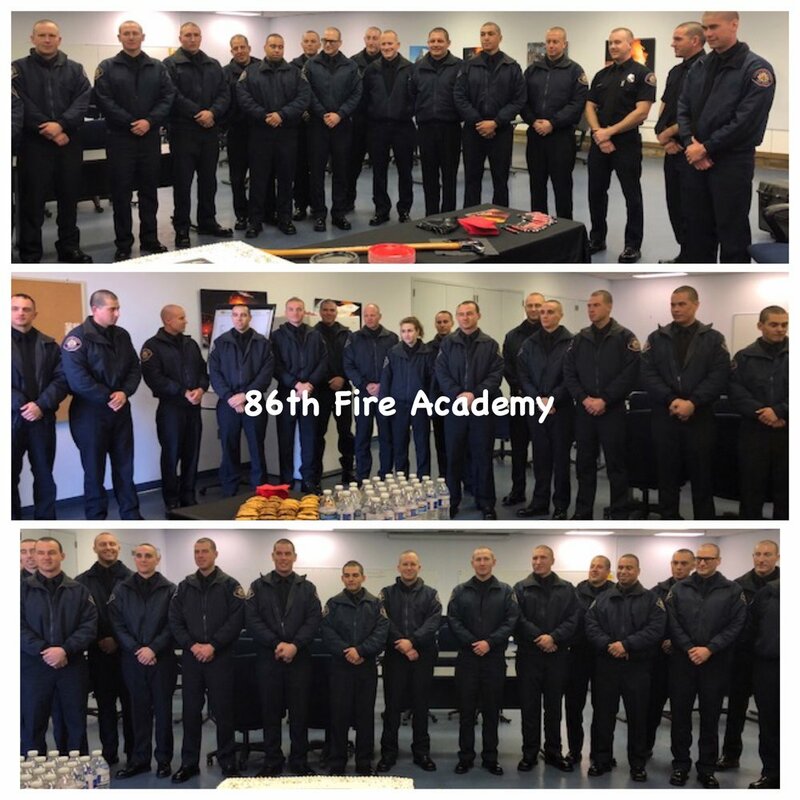 The 86th Academy had 42 recruits graduate. *Youth of all genders who are at least 14 years old and not over 18 years old at the time of registration may register and attend the Girl’s Empowerment Camp. This year, San Diego City Firefighters were able to make wishes come true for 9 families as well as hand out toys to hundreds of children throughout the communities of Shelltown, Southcrest and Mountain View. The staff of San Diego Firefighters Federal Credit Union are proud veteran Mobile Santa supporters. 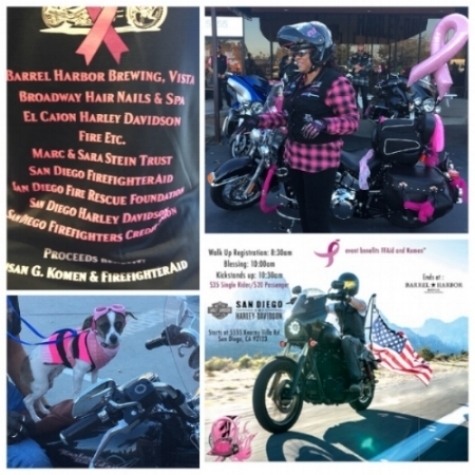 Cancer Can Kiss My Axe & Wind & Fire Breast Cancer Motorcycle Cancer Ride. Local female firefighters, friends, spouses and relatives joined together with Cancer Can Kiss My Axe (CCKMA) to raise funds to support breast cancer and other firefighter job- related cancers. number of burn injuries and deaths in San Diego and Imperial counties. SDFFCU - Proud Sponsors of the Annual 9.11 Memorial Stair Climb! If you would like to view your photo booth pictures taken at this event, visit https://eventboothrentals.smugmug.com/…/911-Stair-Climb-20…/. Brought to you by San Diego Project Heart Beat and the San Diego Padres Foundation with support from SDFFCU and L145. Join us for some fun, friendship and fundraising for a cure! Proceeds help team “Cancer Can Kiss My Axe” meet their $2500 per person fundraising goal for the 2018 3-Day Walk! Congratulations to the 85th Fire Rescue Academy and Honor Grad Tanner Williams. Tanner has the honor of cutting the cake with a life-size ax and also receives $250 from the credit union for a job well done. The 85th Academy had 25 recruits graduate Friday, June 8, 2018. 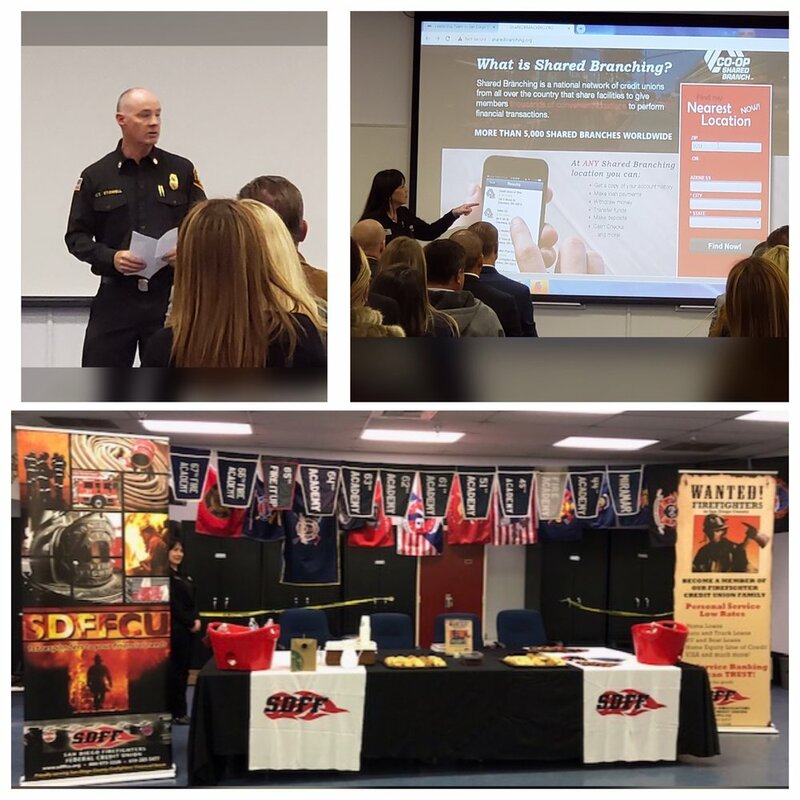 SDFFCU Hosts dinner for 85th Fire Academy Drill Night. Prior to the demonstrations, recruits and their guests ate dinner together, and then, as the alarms sounded, each group of recruits put on full PPE and marched in unison to their respective assignments. With veteran SDFRD firefighters observing, and under the watchful eyes of not only their guests but department brass, the firefighter recruits demonstrated their skills at fighting structure fires, car fires, ventilating roofs, conducting ladder operations, preforming search and rescue, repelling from third-story windows, and executing vehicle extrication. Our Demo Derby shirts are in! They are in limited supply so get yours today! You can get them in our office in time for the Demo Derby on June 2 at the San Diego County Fair. Get your shirt now and support our firefighters! Demo Derby Coming June 2nd -Only days away! San Diego Firefighters FCU is sponsoring a car this year so come on out and support our firefighters...see you there! San Diego Firefighters Federal Credit Union are proud sponsors of the 2018 Girl's Empowerment Camp. Girl’s Empowerment Camp (GEC) is a free 2-day camp open to teens ages 14 - 18 that introduces them the fire service and provides campers with a realistic, hands-on overview of firefighting and exposure to all aspects of public safety career opportunities in the fire service. Additionally, the program empowers campers with life skills and professional guidance that encourages them to pursue a career in public safety. Youth of all genders who are at least 14 years old and not over 18 years old are eligible to attend. SDFFCU is a proud sponsor of the Paramedic Class 1 Graduation! The first class of the Paramedic Training Institute — created by the San Diego Fire Rescue Department— graduated April 9, 2018 aboard the USS Midway with Master of Ceremonies Paramedic Carolyn Gates, and Paramedic Program Clinical Coordinator. Congratulations and good luck with the National Registry Exam! Congratulations to Robert Logan for his promotion to Battalion Chief. Robert also sits on our Board of Directors and we at SDFFCU are so proud and happy for him! The results are in...the 2018 San Diego County Firefighter Boot Drive brought in nearly $210,000! Thank you to all of the fire departments who woke up early to help us "Fill the Boot" and to the incredibly generous San Diego community for supporting our cause. These funds will help provide vital fire and burn prevention education to the community and supportive services to local burn survivors. THANK YOU! SDFFCU is a proud sponsor of the Fire Rescue Academy. Join us in congratulating the graduates of the 84th Fire Academy and the Honor Grad, Jared Creamer! As the Honor Grad, Jared was presented with $250 from the credit union and received the first piece of cake---that he cut with an ax! Thank you Station 39 for helping out one of our employees!! Come and get 'em! The new 2018 Sports Club Calendars with Shift Schedules are here! We also have the smaller laminated calendars just for you...get yours while supplies last! Come on in to our office at 4926 La Cuenta Drive in Tierrasanta...see you soon!